Perhaps the oldest and largest Celtic clan!!! I've been reluctant to join, primarily because I am reluctant to join anything. ClanDonald is also organization that tends to celebrate the Scottish heritage of the clan to the neglect of the Irish side - and both sides are enormously rich in history. And I am always leery of any organization with leaders who must be referred to as 'High Commissioners'. But in my many travels, I've met some wonderful folks associated with ClanDonald. As individuals and as an organization, the clan has been extremely active and effective in preserving Celtic history and culture. Recently, ClanDonald has actively raised funds to restore and preserve clan castles and lands in Scotland. Most impressive is ClanDonald DNA project. It was one of the first, and now one of the largest, family-based genetic genealogy projects in the world. Sixteen years ago, it identified a 25-marker signature (since increased to 37) of descendants of Somhairle, ancestor to many of the MacDonalds (of various spellings), MacDougals, and MacAllisers and other associated clans. As one of the liberal arts, limited science, guys, I can only say one thing about the ClanDonald DNA project: WOW! Who would have thought we could identify the DNA markers of a guy who died almost a thousand years ago, and determine (with an incredible degree of certainty) that he is (or is not) or an ancestor. 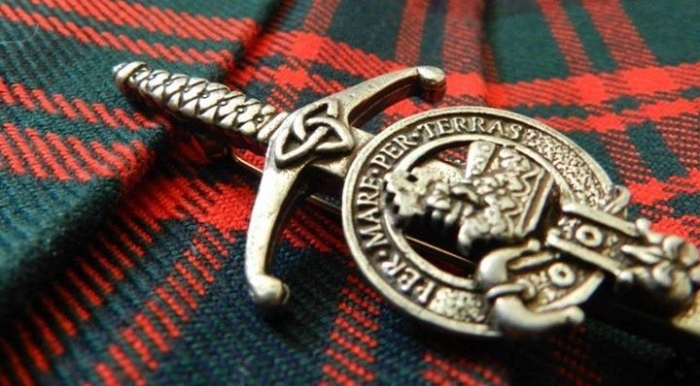 "Clan Donald is one of the oldest, and probably the largest and most famous of all the Highland clans. Its Celtic heritage goes back into antiquity, beyond the 6th Century AD, to the great clans in what today is Ireland, Conn of the 100 Battles, Cairfre Raida, founder of Dal Raida in Antrim, Eire, and Colla Uathais. Our Viking heritage goes back to Ingiald "Ill-Ruler" and Olaf "Tree-Hewer" in 7th Century Sweden and Norway. All of these traditional blood lines came together in the 12th Century Somerled MacGillebride MacGilladamnan, the historic founder of Clann Domhnaill. Our ancestors were regarded as the heads of the ancient race of Conn, and the lineal heirs of the kings of the Dalriadic Scots." 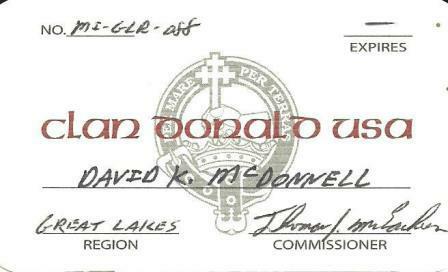 Check out Clan Donald USA and like and share it on Facebook. P.S. I'm often asked if I've had my DNA tested. The answer is NO. Why? I'm simply afraid of what the results might be. 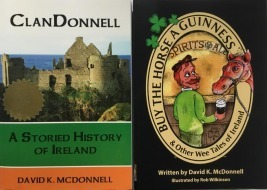 I've created a career as an Irish storyteller and author and my credentials include "I'm Irish and I descended from ClanDonnell". What if my DNA results prove that I am neither? Among other things, I would need to resign from ClanDonald USA, membership of which is limited to those who indeed are descendants of ClanDonald.